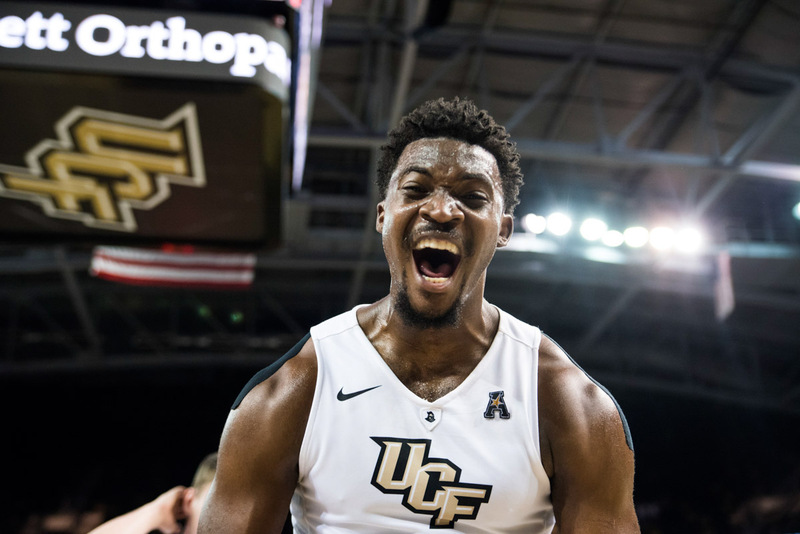 1Sophomore foreward Chad Brown celebrated after the Men’s Basketball team defeated Illinois, 68-58, advancing them to the final four of the National Invitational Tournament for the first time in the program’s history. 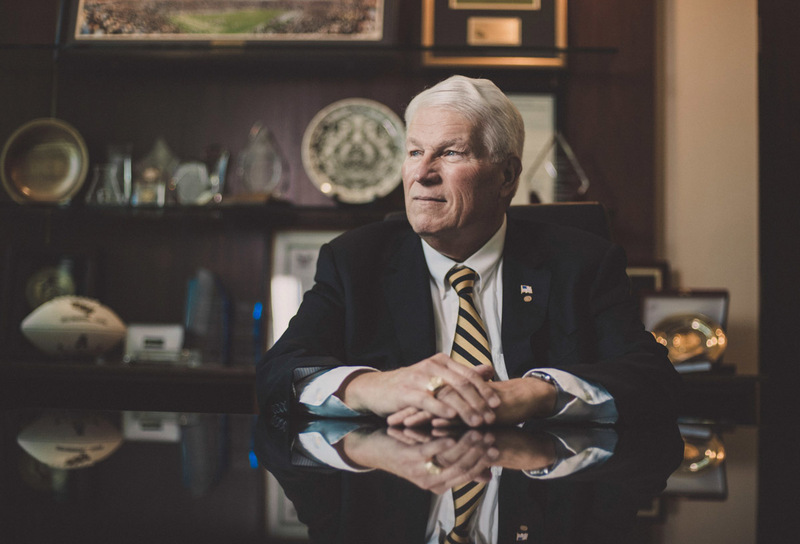 2In March, John C. Hitt celebrated 25 years as president of UCF. 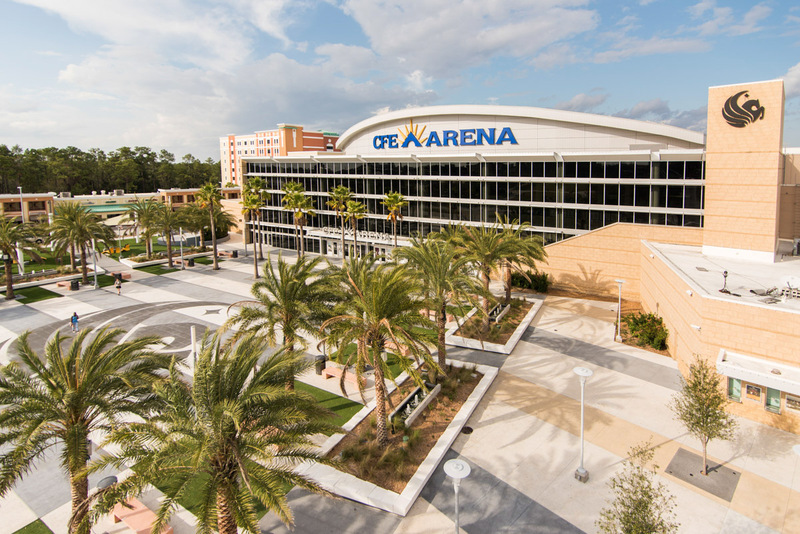 3A new seating area, palm trees and Pegasus symbol were added to Knights Plaza outside of the CFE Arena. 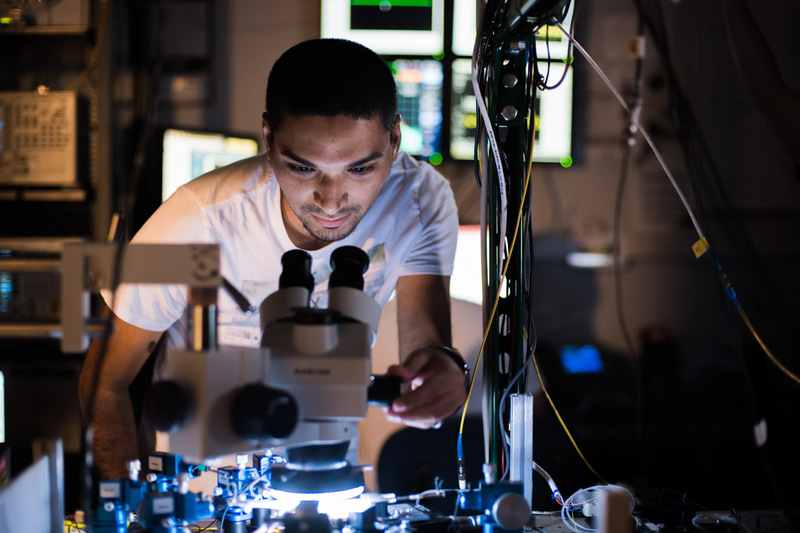 4Performance artist and UCF professor Wanda Raimundi-Ortiz embraced a child during her performance of Pieta at the Knowles Memorial Chapel. 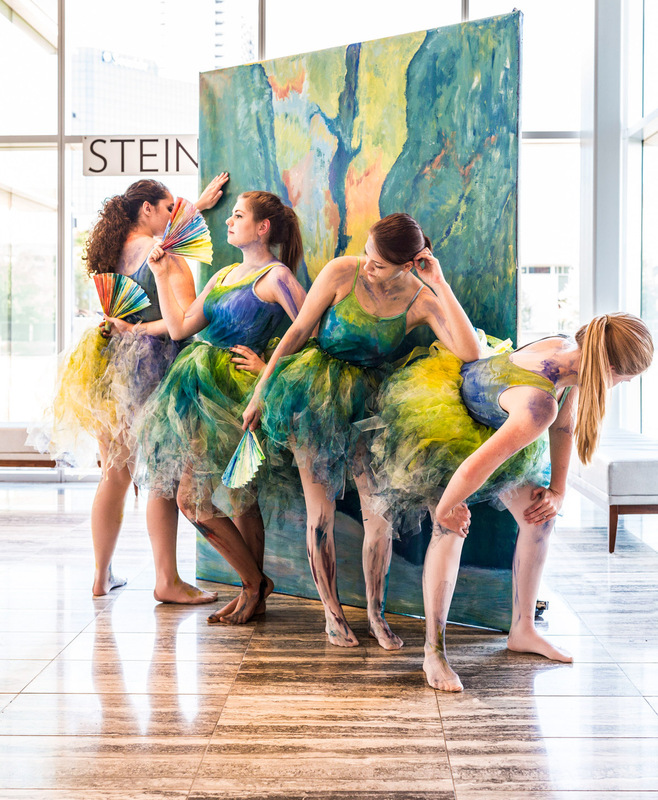 5Students recreated Edgar Degas’ “Ballet Dancers in the Wings” as part of UCF Celebrates the Arts at the Dr. Phillips Center for Performing Arts. 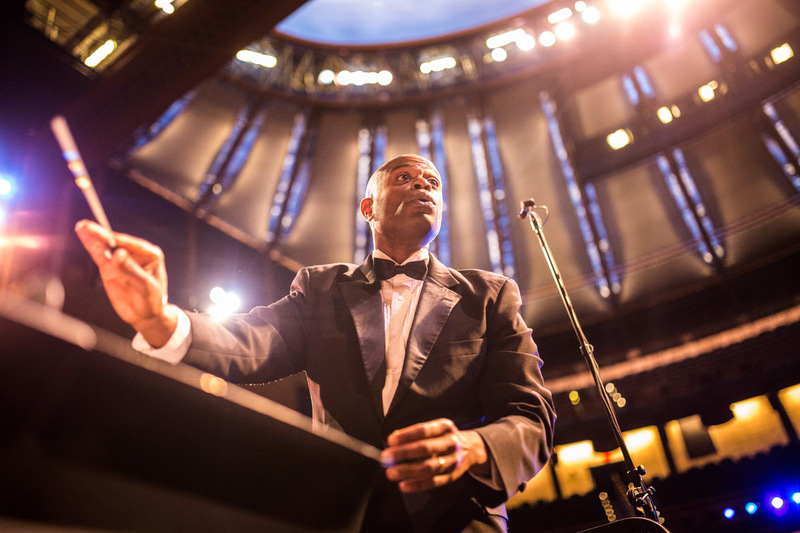 6Associate Director of Bands Tremon Kizer led a performance during UCF Celebrates the Art. 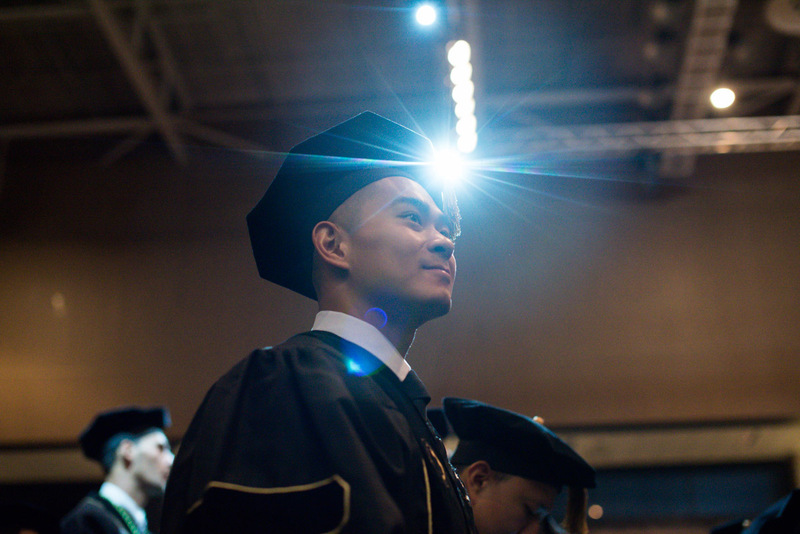 7A student graduated from the College of Medicine on May 4 during spring commencement. 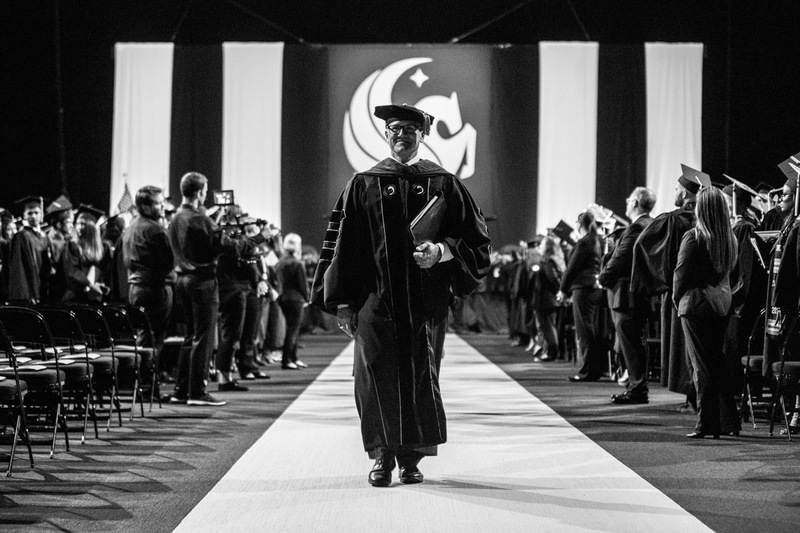 8Provost and Executive Vice President A. Dale Whittaker exited the platform after a commencement ceremony. 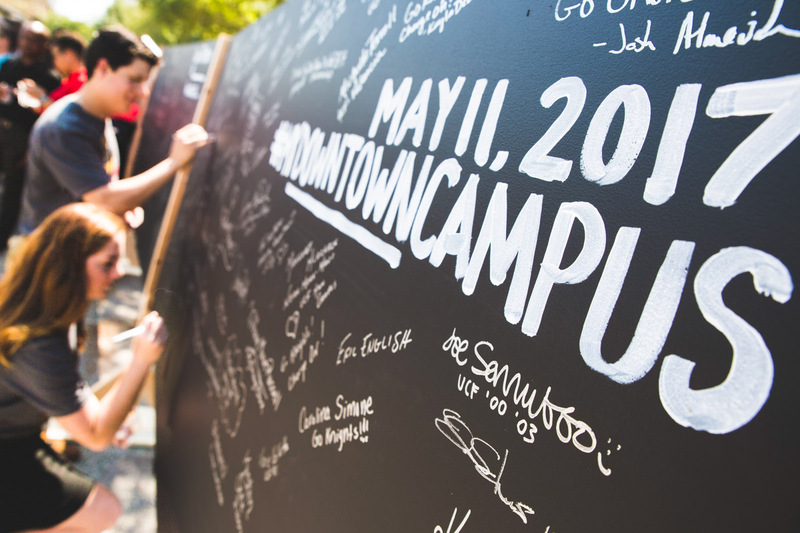 9UCF broke ground on its Downtown campus on May 11. 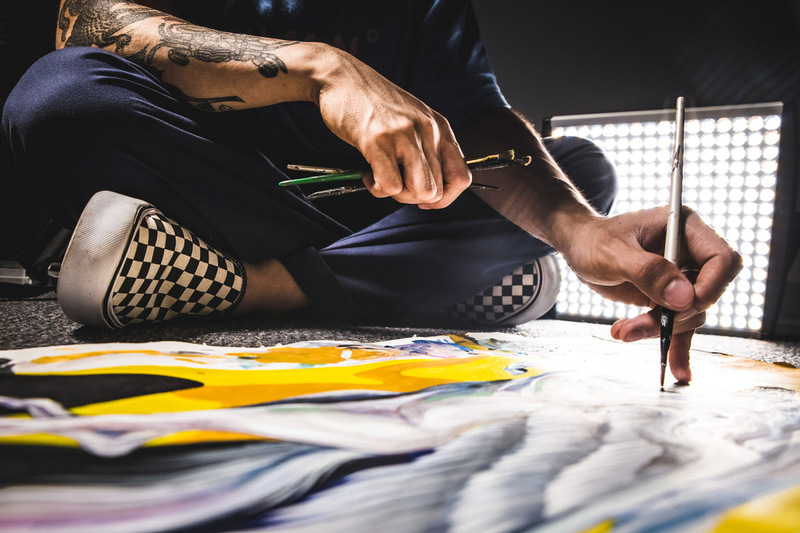 10Local artist Boy Kong worked on a concept design for the new Pegasus Takes Flight mural. 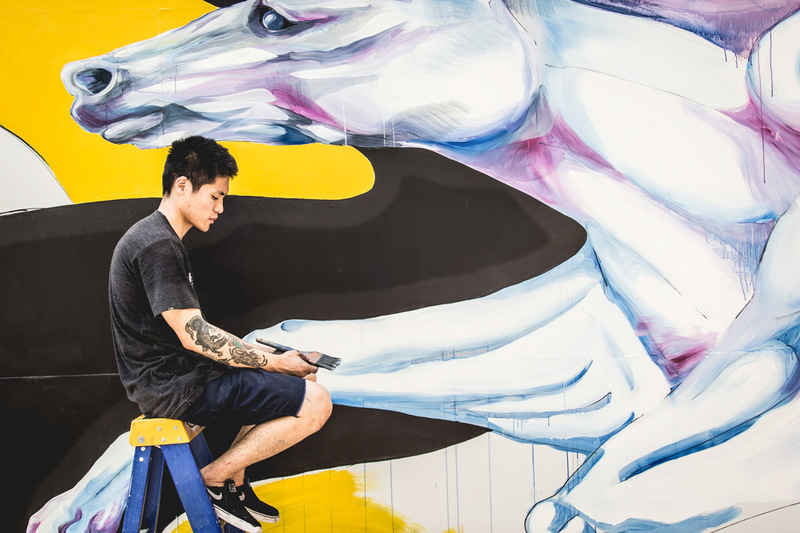 11Artist Boy Kong painted the new Pegasus Takes Flight mural near the front entrance to the Student Union. 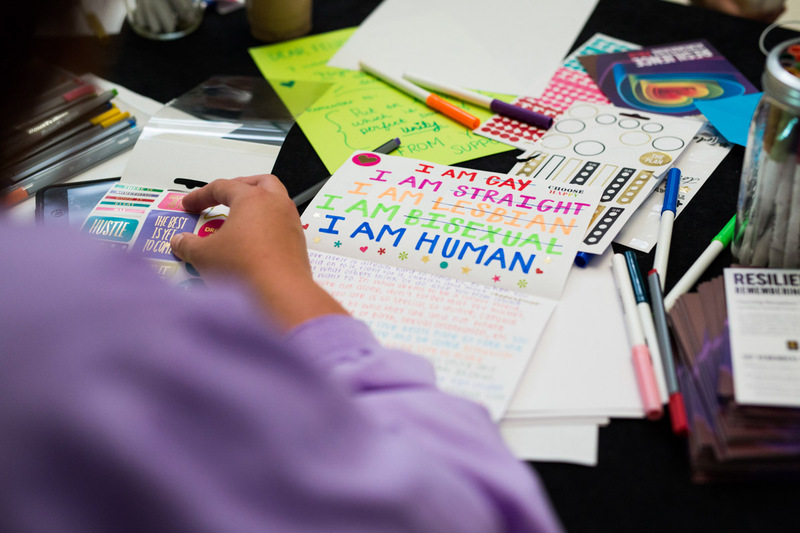 12Students wrote messages to display in the Student Union as a part of “UCF Remembers … 6.12.16,” a Pulse memorial event that took place on June 8. 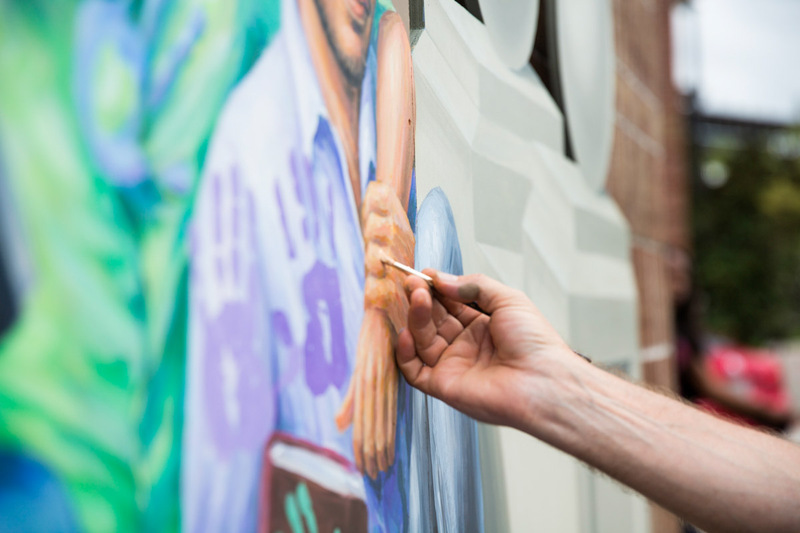 13Artist Yuriy Karabash touched up a new mural outside the Student Union that pays tribute to students Juan Ramon Guerrero and alumnus Christopher Andrew “Drew” Leinonen, who were killed at Pulse. 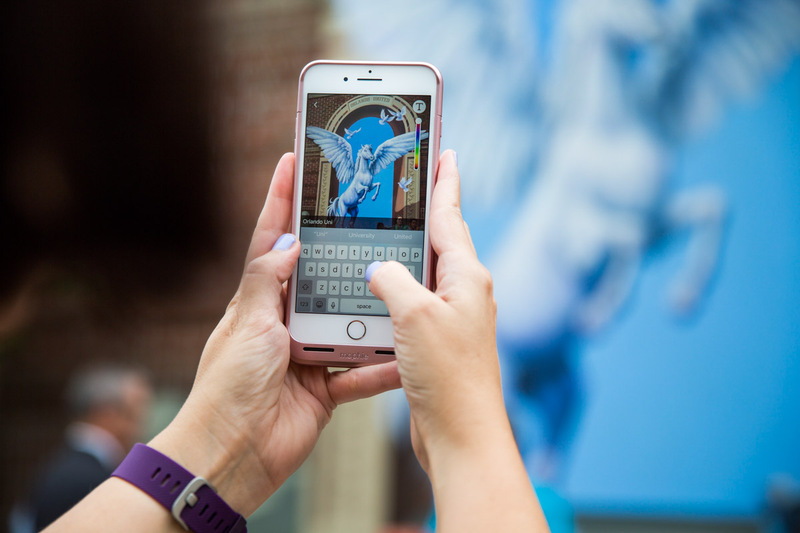 14A passerby posts a picture on Snapchat of the new Pulse memorial mural, completed by artists Michael Pilato and Yuriy Karabash. 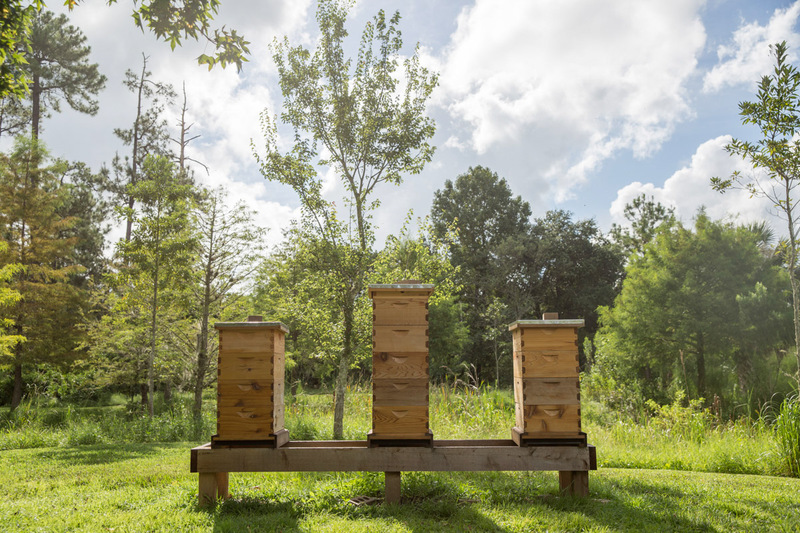 15Three beehives were added to the UCF Arboretum in an effort to help save the bees and increase pollinator activity on campus. 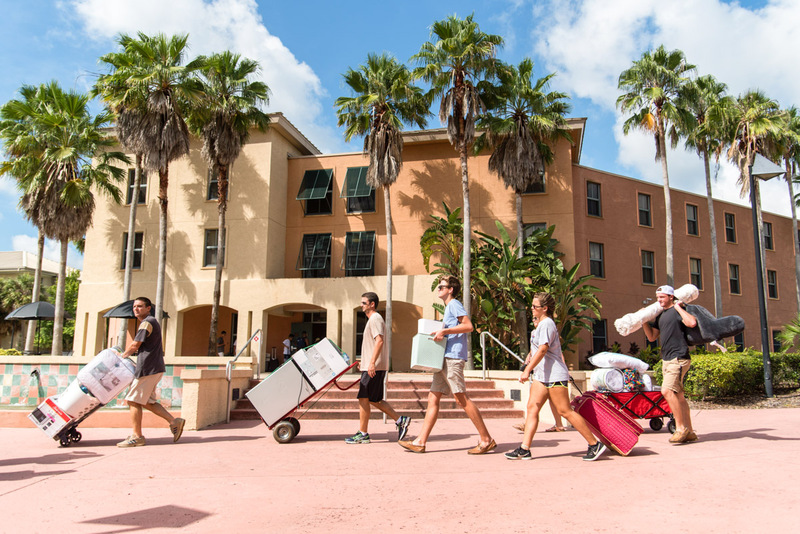 16Students carried and rolled their personal belongings on campus as they made their way to housing communities during Move-In Day. 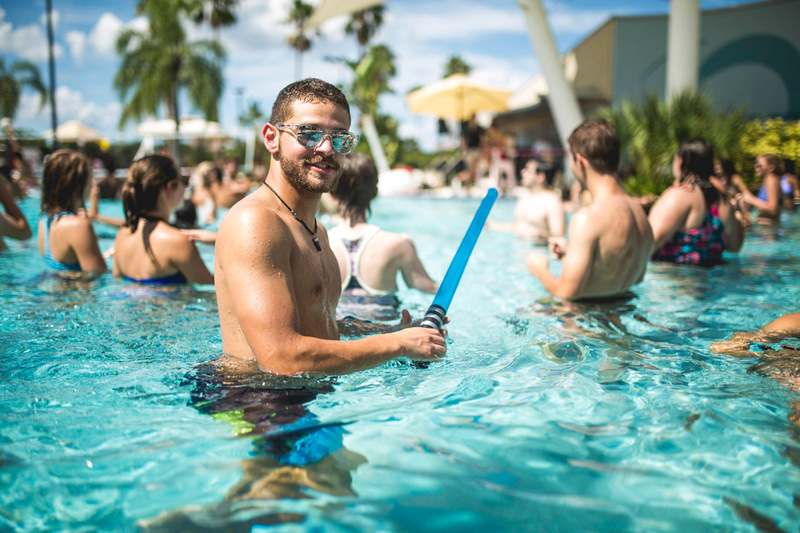 17Students attended a Knight Wars-themed pool party as a part of Pegasus Palooza. 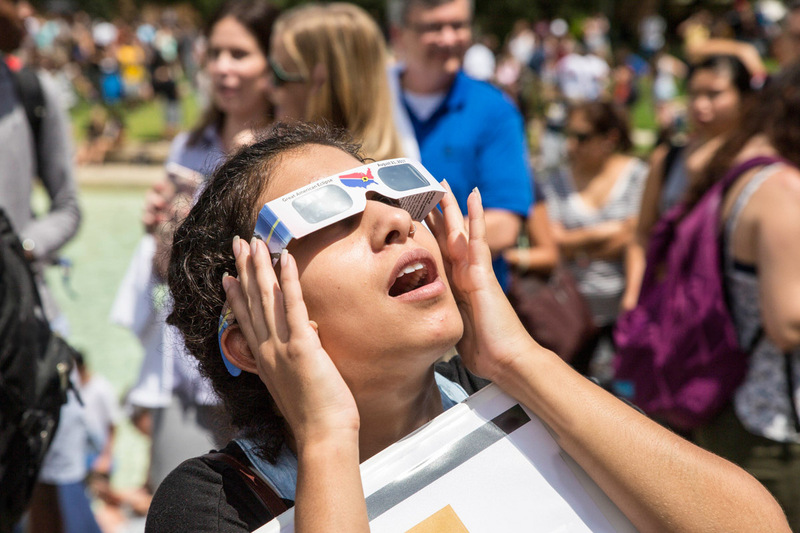 18A student used a pair of protective glasses given away by the university to view the Great American Eclipse on Aug. 21. 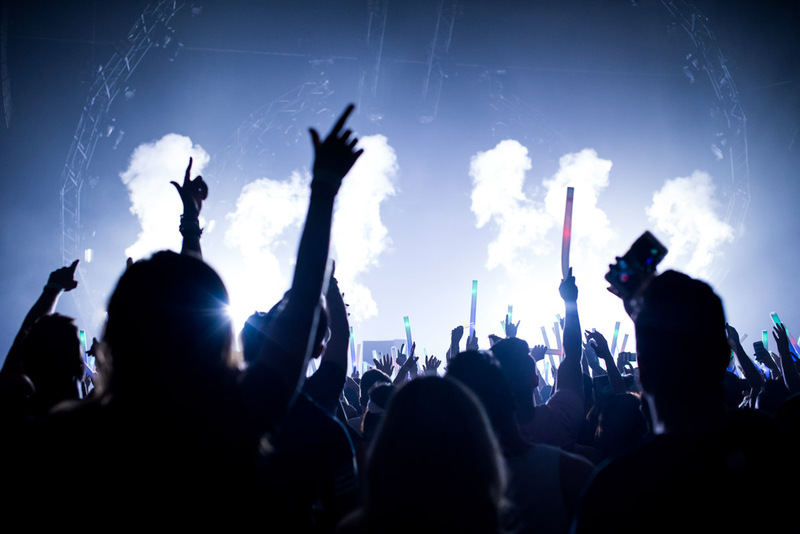 19Students prepared for electronic dance DJ Martin Garrix to take the stage for the Homecoming concert performance. 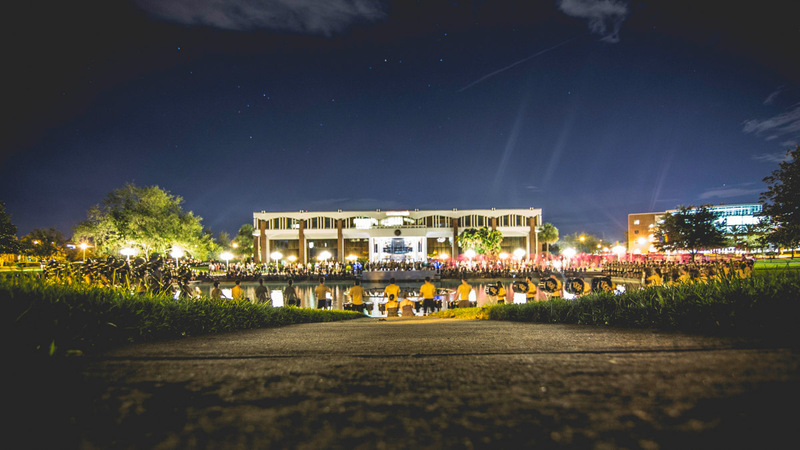 20Band students gathered around the Reflecting Pond in August for Marching Knights Accolades, an annual induction ceremony. 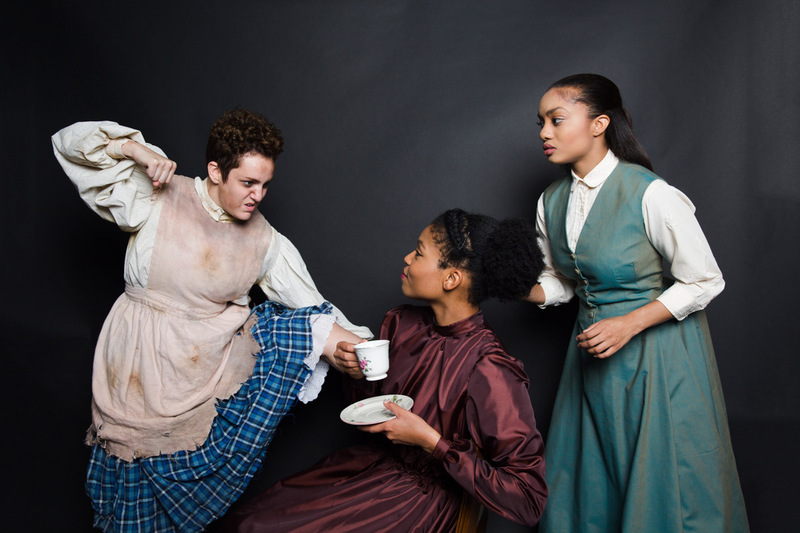 21Theatre UCF put on a performance of Iphigenia and Other Daughters. 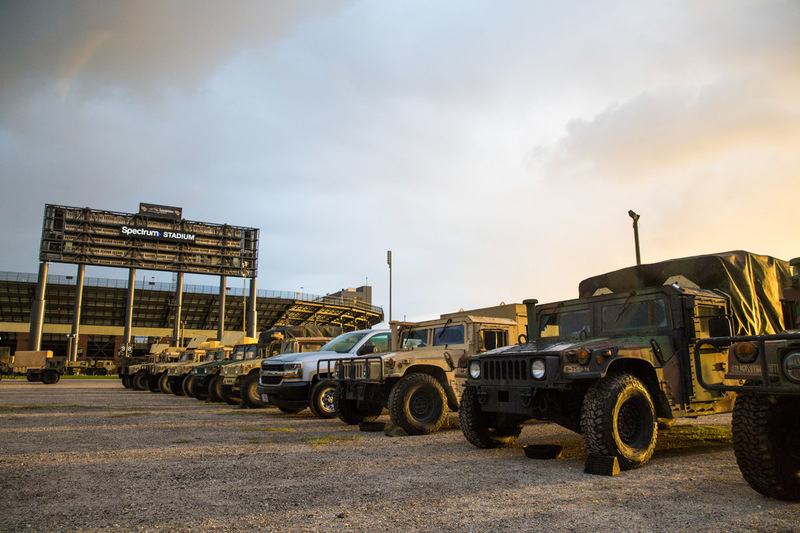 22Members of the U.S. National Guard used Spectrum Stadium and other football facilities as a staging center for Hurricane Irma relief efforts. 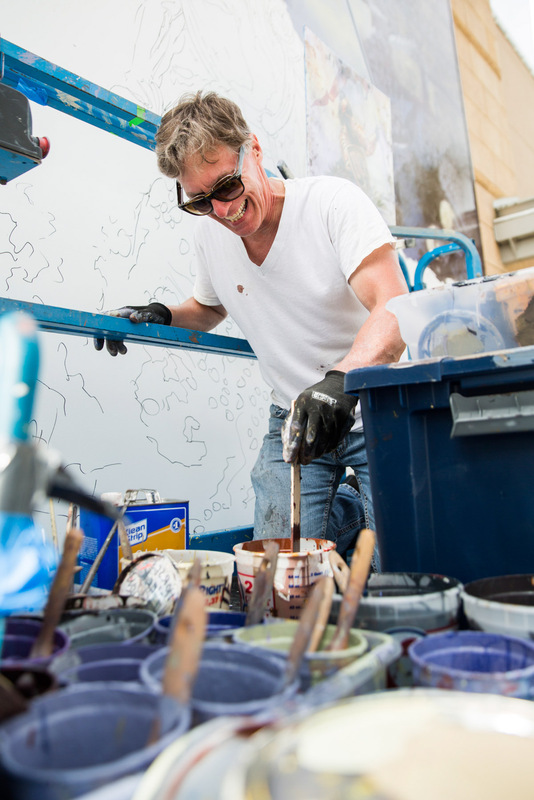 23Artist Kevin Thomas began work on a new Charging Knight mural outside CFE Arena. 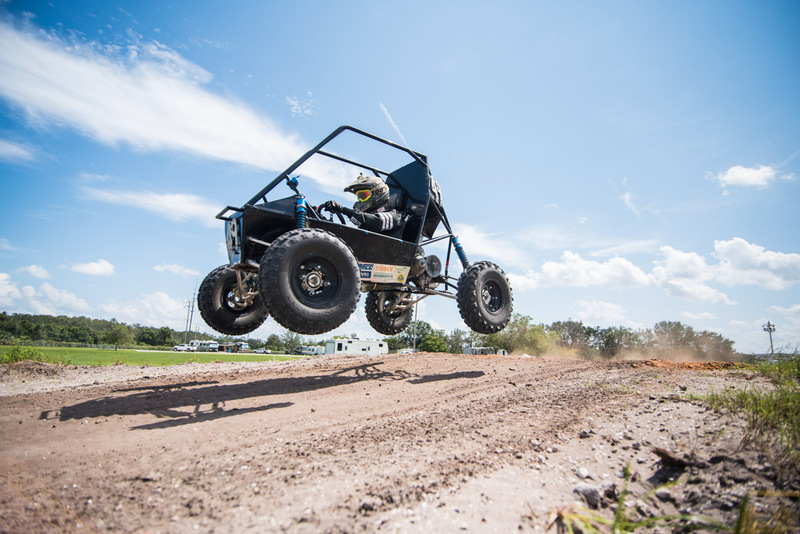 24UCF Baja Racing Team Lead Vicente Porcar took the team’s car out for a test drive on an off-road track. 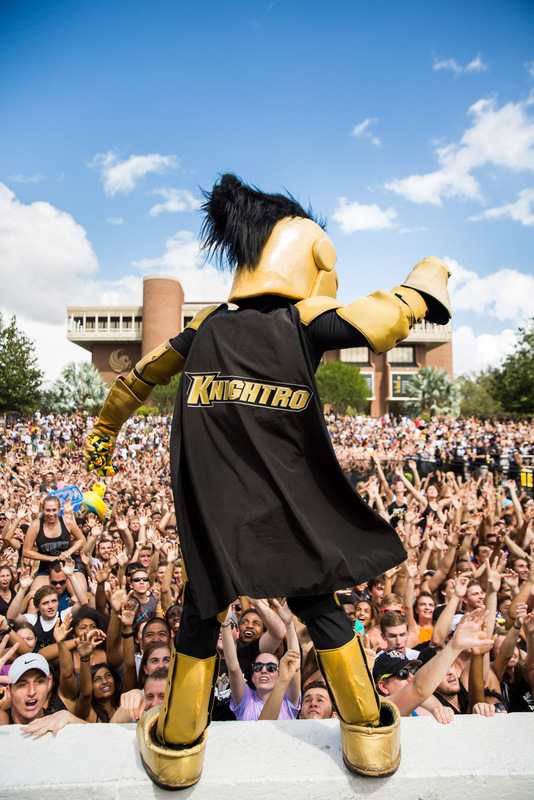 25Knightro tossed rubber duckies to a crowd of students gathered at the Reflecting Pond for Spirit Splash. 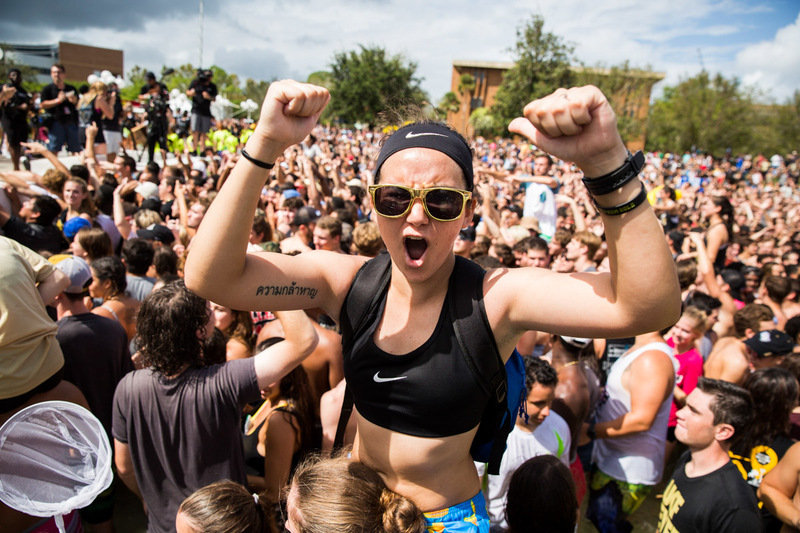 26More than 10,000 students joined this year’s Spirit Splash homecoming celebration, which ESPN’s Will Reeve covered for SportsCenter. 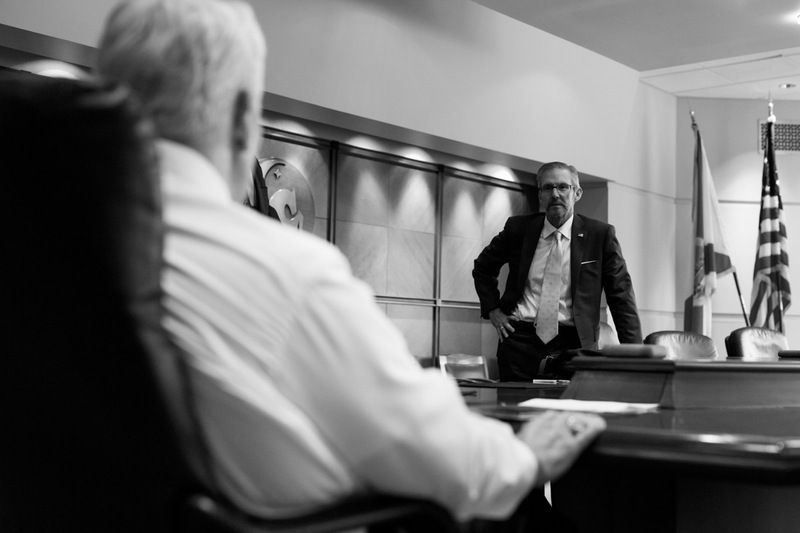 28President John C. Hitt met with UCF Board of Trustees Chairman Marcos Marchena before making his official retirement announcement. 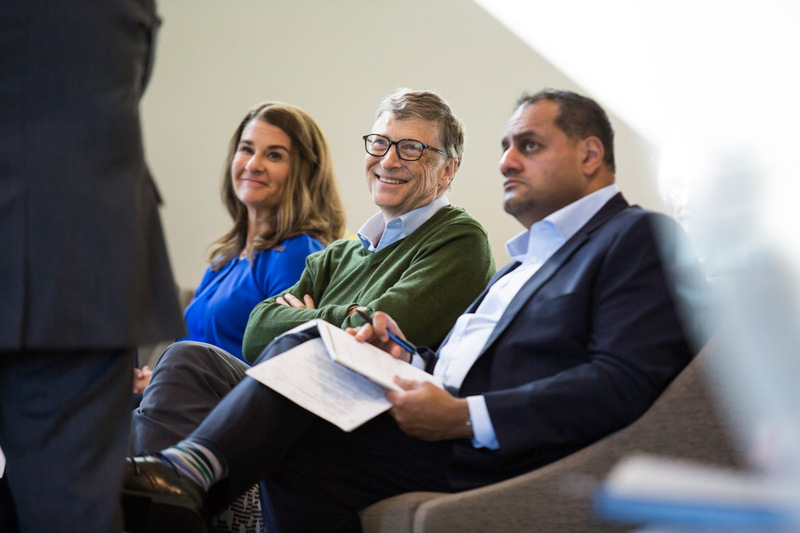 29Bill and Melinda Gates visited campus on Oct. 25 to learn more about the university’s digital learning efforts and Limbitless Solutions’ innovative work. 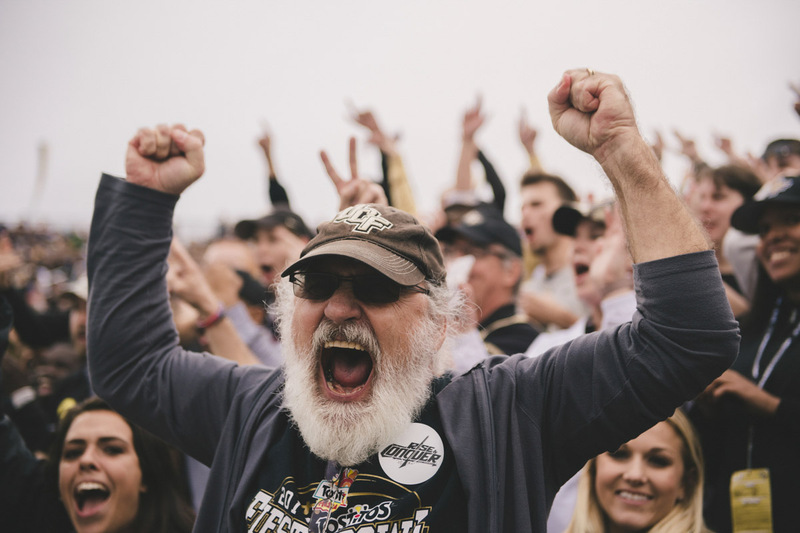 30A UCF fan cheered on the Knights as they defeated USF, 49-42, during the War on I-4 football game, marking the end to the team’s first undefeated season. 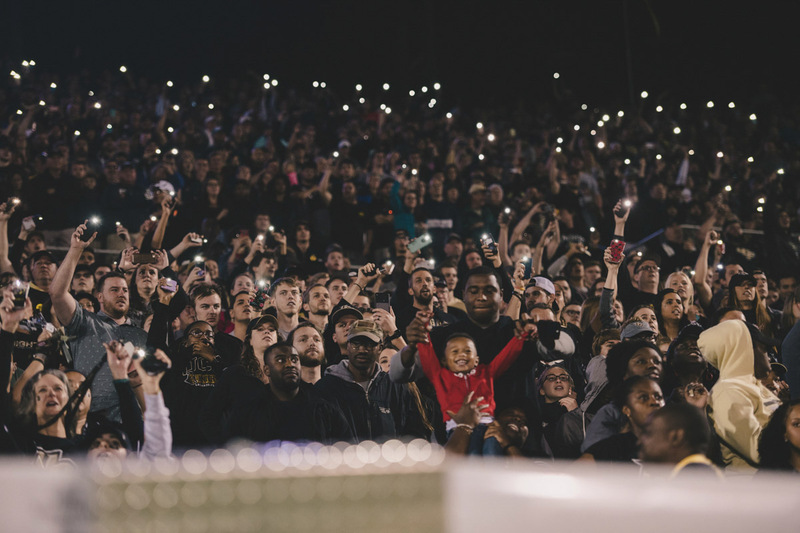 31In a sold-out crowd of more than 47,000, UCF fans banded together to light up Spectrum Stadium with their cellphones during the fourth-quarter USF game. 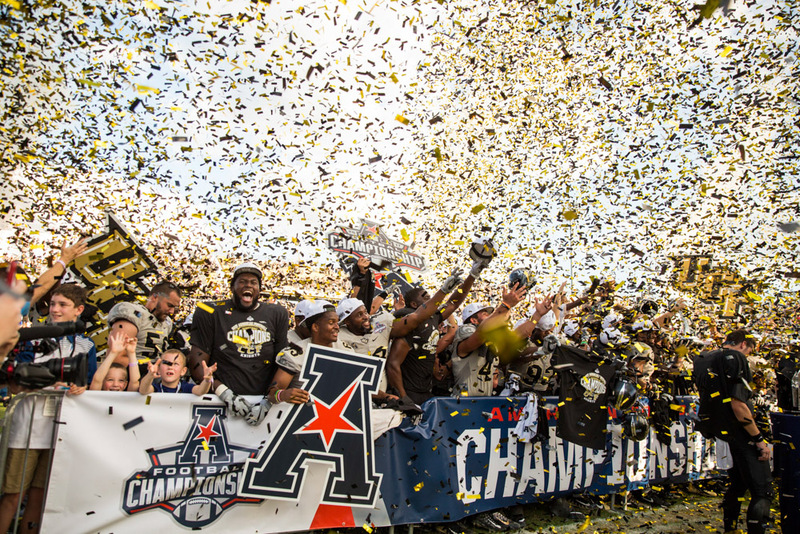 32UCF football players were showered with black and gold confetti after defeating Memphis 62-55 during the American Athletic Conference championship game, advancing them to the Peach Bowl, where they will take on Auburn on Jan. 1, 2018. 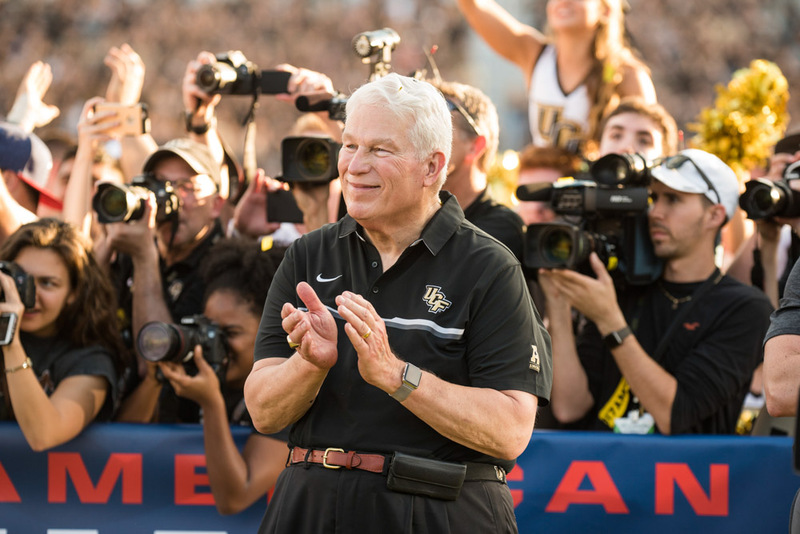 33President John C. Hitt applauded the Knights after their victory against Memphis. 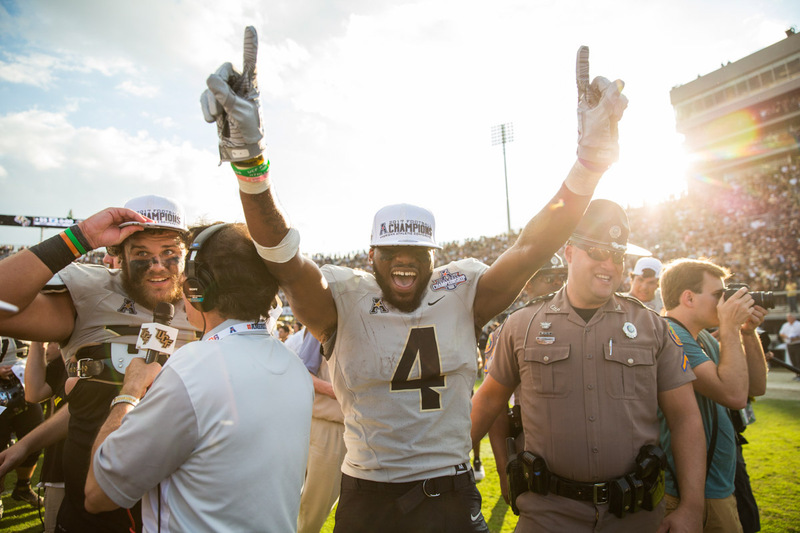 34Redshirt sophomore wide-receiver Tre’Quan Smith celebrated after UCF won the 2018 AAC Championship title.